This cycle route is sheer romance for lovers of nature, rivers and hills. Breathe deeply and fill your lungs with the freshest air, far away from any pollution. 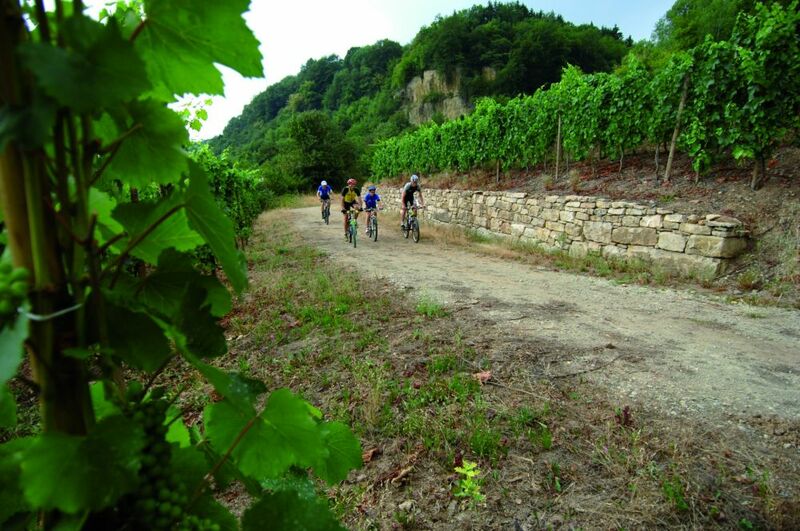 Your voyage across the Moselle and the Syre valleys is the ideal way to get back to nature and discover some of the most beautiful countryside in Luxembourg. It may interest you to know that a large part of the forest is protected by a conservation programme: the Naturbësch project. The objective of the programme is to create a nationwide network of integral forest reserves (RFI) which are voluntarily excluded from any form of exploitation in order to preserve their natural state – for the forests and for you! And it’s not just conservation - projects such as this are designed to help stimulate biological diversity. To find out more about it, you should pass by the reception centre, A Wiewesch, which records the whole history of rural life. This meeting point is also the start-point for several storytelling routes through the countryside. This route revolves around wonderfully picturesque village of Manternach, which dates all the way back to Celtic times. The village lies in the peaceful calm of a natural valley, sheltered from the wind, and sandwiched on one side by vine-tapestried hills, while on the other side are the gorges and dense woodland of the Syre.